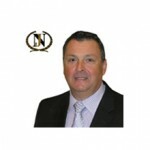 Since 1988 Bruno D’Avella worked and established himself as a primary Insurance Adjuster. He is well known and respected as one of the most knowledgeable and serious Public Adjuster’s in the insurance industry. His work has not gone unnoticed when it comes to settling any building arguments between companies or independent insurance adjusters. Besides being an expert building assessor, Mr. D’Avella has worked against most insurance companies during his years and has, through his hard work and diligence, earned the respect of his counter parts and adversaries in the Insurance Industry. Mr. D’Avella likes to prepare a detailed claim along with his clients to insure a maximum recovery.